Low Energy Buildings | Low-energy building information for new build and refurbishment projects in the UK. Low-energy building information for new build and refurbishment projects in the UK. 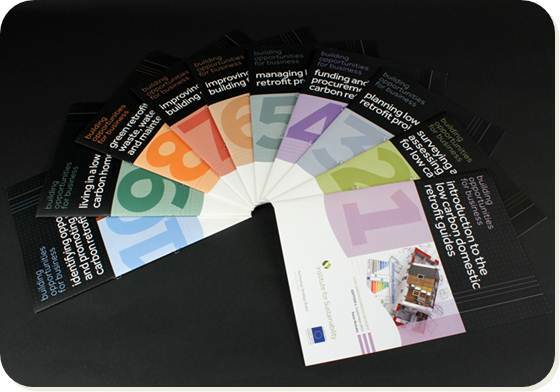 Low Carbon Domestic Retrofit Guides : The Institute for Sustainability produced a set of guides based on the experiences of the Retrofit for the Future programme. They detail the business opportunities that retrofit offers, and provide practical and commercially focused advice and best practice to both trades and professions including architects, surveyors, builders, project managers, plumbers and electricians. The Retrofit for the Future competition catalysed the retrofit of over 100 homes across the UK, with an ambition of achieving an 80% reduction in the in-use CO2 emissions of each property. Coordinated by the Technology Strategy Board , the Retrofit for the Future competition encouraged collaboration between housing providers, designers, contractors and researchers, and has helped to stimulate new business opportunities in the retrofit market. The Technology Strategy Board has now published data and analysis of monitoring data provided by Retrofit for the Future projects at the website Retrofit Analysis. They have provided a series of charts showing the performance of the properties, including energy use, CO2 emissions, internal temperatures, air tightness and occupant satisfaction. This data is also being incorporated into the retrofit projects and charts on this website. You can also download a PDF of the report. The analysis of the data from 37 properties found that three projects achieved the desired 80% reduction in CO2 emissions, with 23 reaching between 50% and 80%. A key result, aside from the reduction in carbon emissions that followed a retrofit project, was that residents living in retrofitted houses are more able to afford to keep their homes at a comfortable temperature. Welcome to the new and improved Low Energy Buildings website. This site contains information about energy efficient building projects in the United Kingdom, both refurbishment and new-build projects. The site aims to provide information about techniques, strategies and materials involved in building and refurbishing houses in a sustainable and energy efficient manner . We hope that this will provide a useful resource for those who are involved in or planning such building projects.